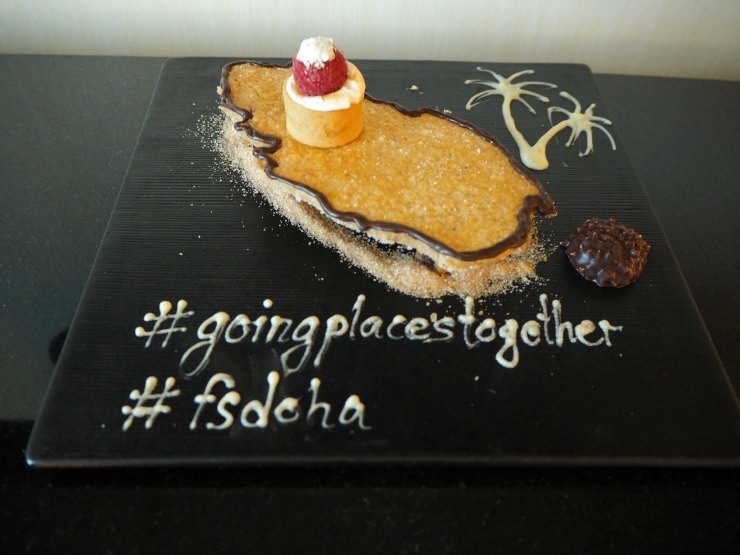 Doha is a destination in the Middle East you may not have thought of visiting but if you want a cultural and foodie destination it's an interesting place to explore. The capital city of the State Of Qatar it's a destination with great weather all year round and is particularly good for a Winter break between November to April when it is still warm. 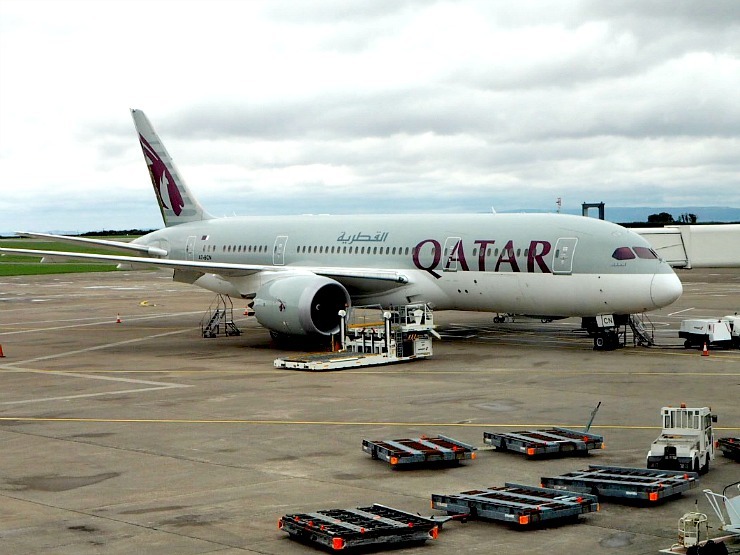 With new flights from Cardiff Airport to Doha with Qatar Airways making it an easy stopover destination, it's also becoming a destination in its own right. 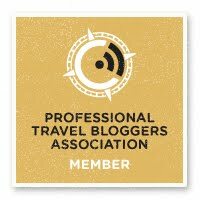 Cardiff Airport and Qatar Airways invited me to spend 48 hours there recently with a group of bloggers and journalists, so this is what I got up to. 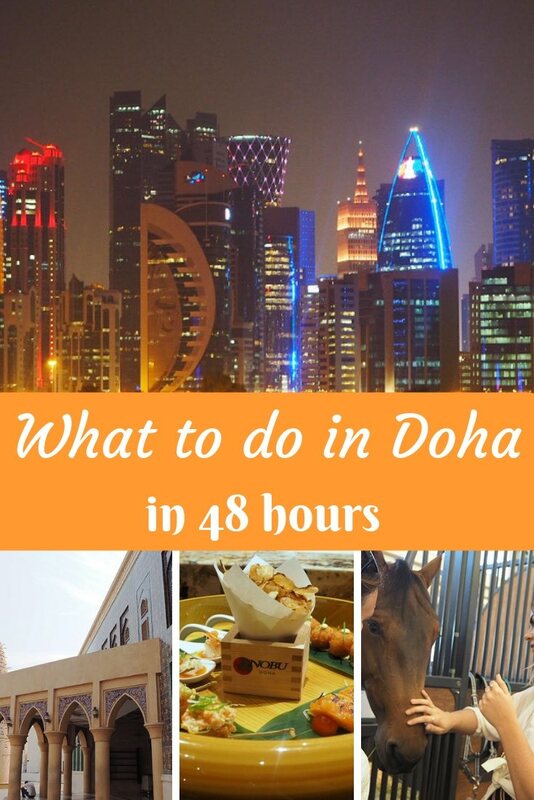 Here is what to do in Doha Qatar in 48 hours. 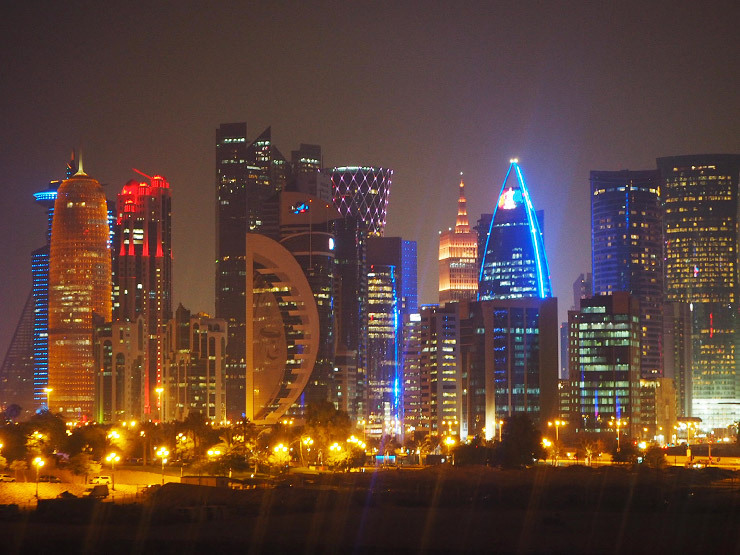 Doha is a young city and many buildings are very modern and almost futuristic, think tall sleek hotels and offices dotting the skyline, which makes for an amazing lit up landscape at night. 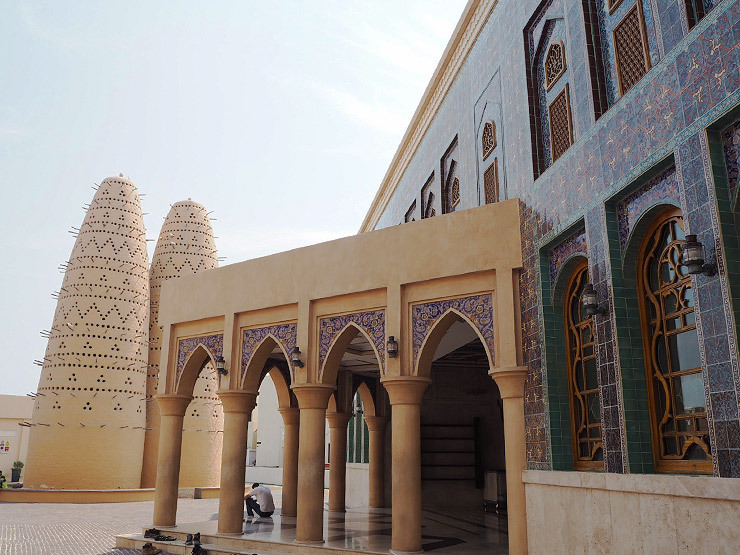 Other buildings take their design inspiration from the Islamic culture, with geometric and interlaced patterns and archways being design features. The Katara Blue Mosque (Katara Masjid) is one of the most beautiful mosques in the city with a gorgeous decoration of purple and turquoise mosaic tiles and a glamorous interior designed by Zainab Fadil Oglu, an internationally renowned Turkish mosque designer. If you are a woman you need to have your shoulders, head and knees covered for entry, however, they will give you trousers and a scarf if you do not come prepared. 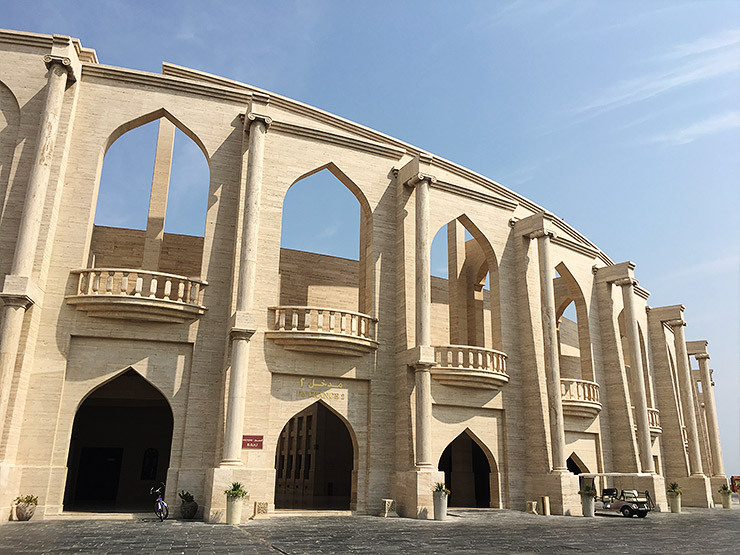 The Katara Cultural Village is home to many art and cultural venues such halls and galleries that house art exhibitions, conferences, seminars and workshops an opera house, an amphitheatre and drama theatre, a beach and gardens. It's also home to the aforementioned Katara Blue Mosque and the Golden Mosque. We spent a few minutes watching the water fountains at the Ampitheatre. Close by there is also a beach that has a variety of watersports, such as waterskiing, parasailing and boat rides as well as children's play area and an inflatable playground in the water. Entrance to the beach is currently free but activities are chargeable. There is a dress code for the beach, and bikinis and Speedos are not allowed, instead, shorts and rash vests are encouraged. 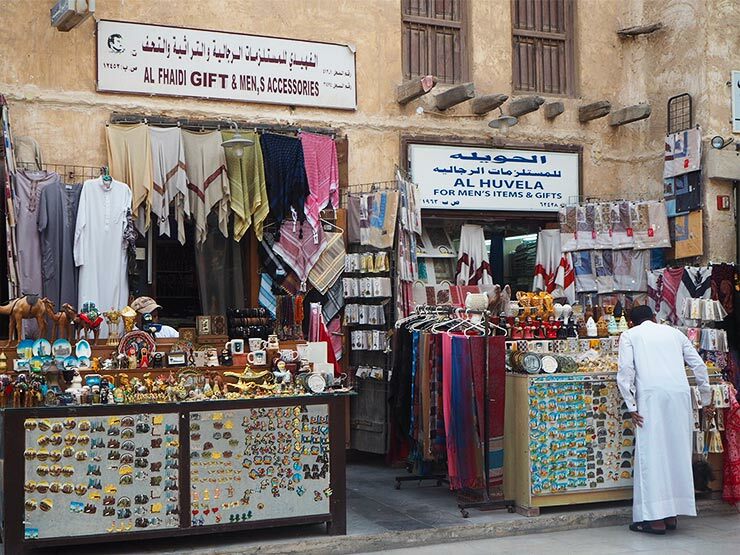 There are modern shopping malls in Qatar but for the really authentic experience, a visit to Souq Waqif is a must. It was founded hundreds of years ago but fell into decline until 2006 when it was sympathetically restored. Haggling is encouraged but remember to have cash on you as many places won't take cards. 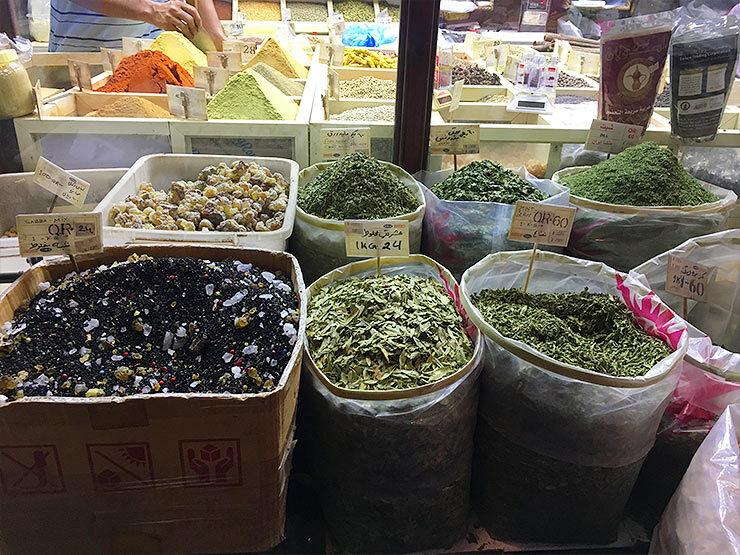 The spice market and fabric market here is a feast for the senses, and why not visit a shisha cafe or one of the local restaurants in the area when you are here? There is also a gold market specialising in high end 18 ct and 22ct jewellery, which I would have loved to have seen but didn't have time for- maybe next time! 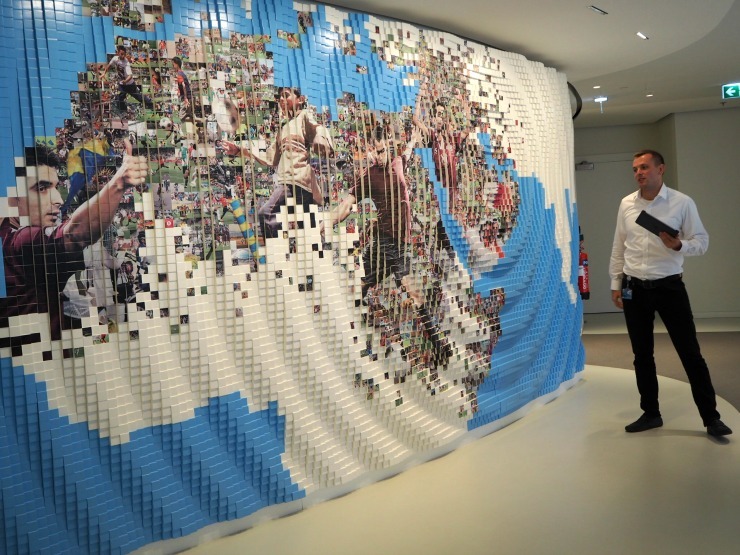 When I was Qatar we were shown around the headquarters of the Qatar Football Federation. Qatar is the venue for the 22nd FIFA World Cup in 2022 so if you aren't already familiar with this country you soon will be. 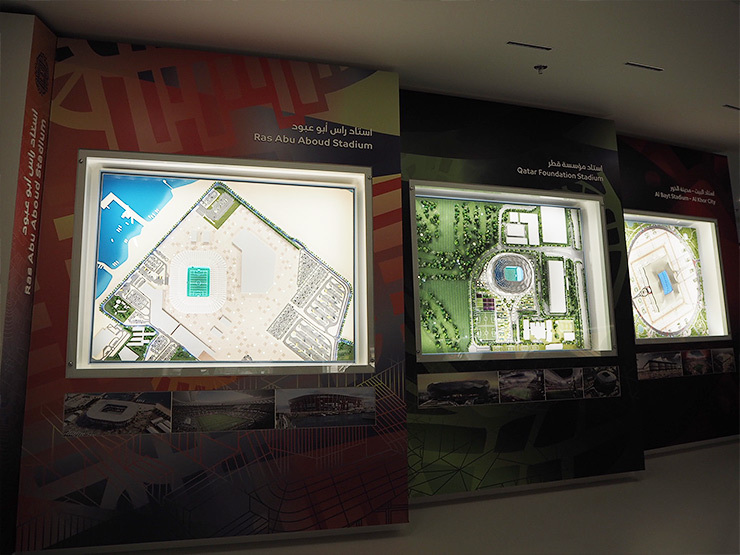 The stadiums, many of them new will incorporate solar panelling. All 12 stadiums are within driving distance of each other and the new stadiums being built will be carbon neutral as well as fitted with air conditioning. They will have fan zones were drinking alcohol will be allowed too, as currently alcohol is only allowed in hotels. Plans for what to do with the stadiums after the world cup have already been thought about, with a hospital, community centres and hotels being discussed. 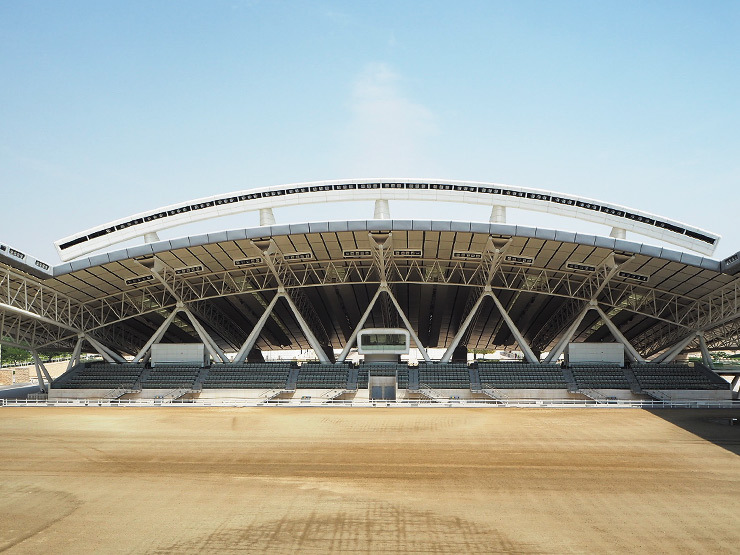 Al Shaqab is a huge equestrian centre in the city known for its prize Arabian horses. These beautiful animals have been part of Qatari daily life for hundreds of years. 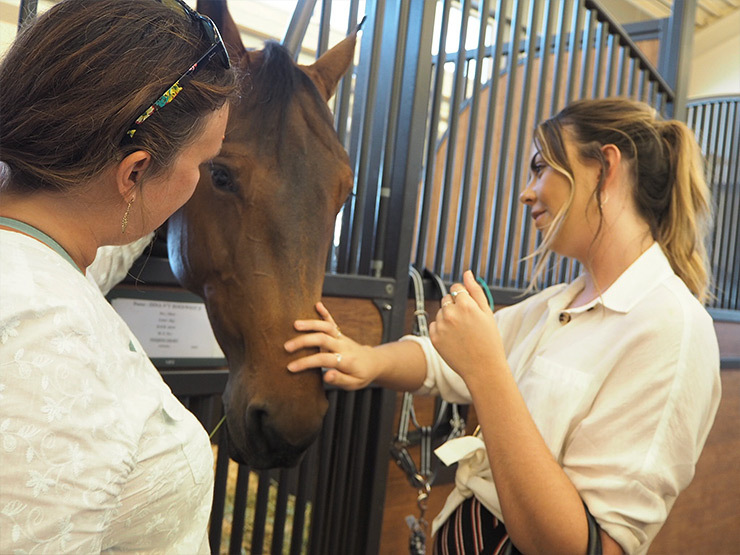 The centre is fitted with state of the art facilities to look after and train the horses and promote the rich equestrian heritage of Qatar. It even has a swimming pool for the horses to help with the rehabilitation of injured horses. The complex is designed in a giant horseshoe shape. You can tour the facility but this needs to be booked in advance on their website, or check out when the events are on to see the horses perform in various shows. Doha has many restaurants serving traditional Arabic food and also a number of cosmopolitan restaurants serving world-class cuisine. We ate at Al Terrace, part of the Al Mirqab Boutique Hotel. 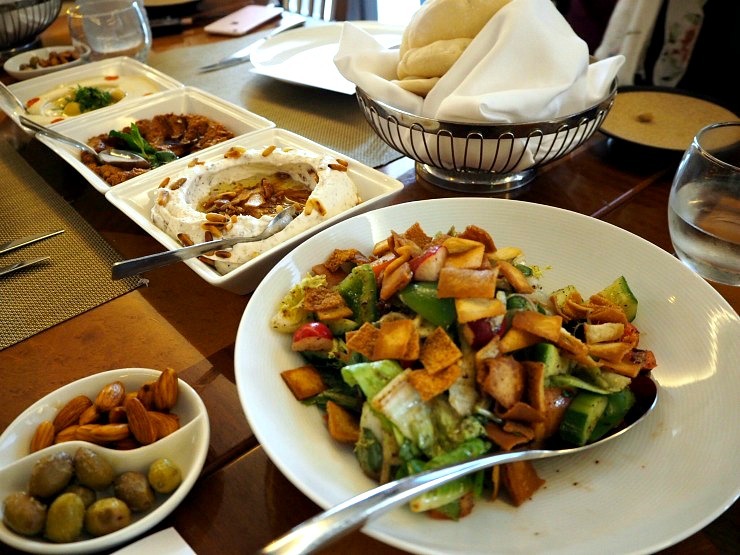 This restaurant serves a mix of Lebanese and Arabic cuisine. Good sized portions and an overindulgence in the delicious starters meant that when the grilled meat came we had so much food we thought we would burst! 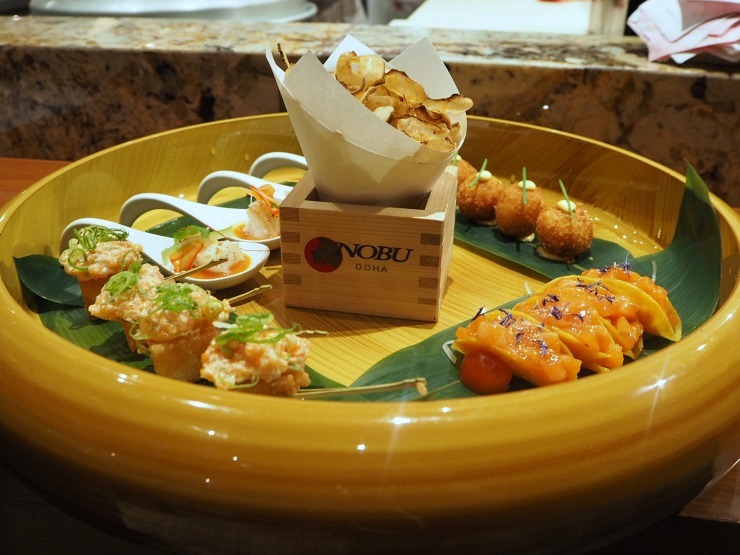 On our second night, we ate at Nobu Doha, the Japanese high-end restaurant chain, part of The Four Season Hotel, and the largest Nobu in the world. 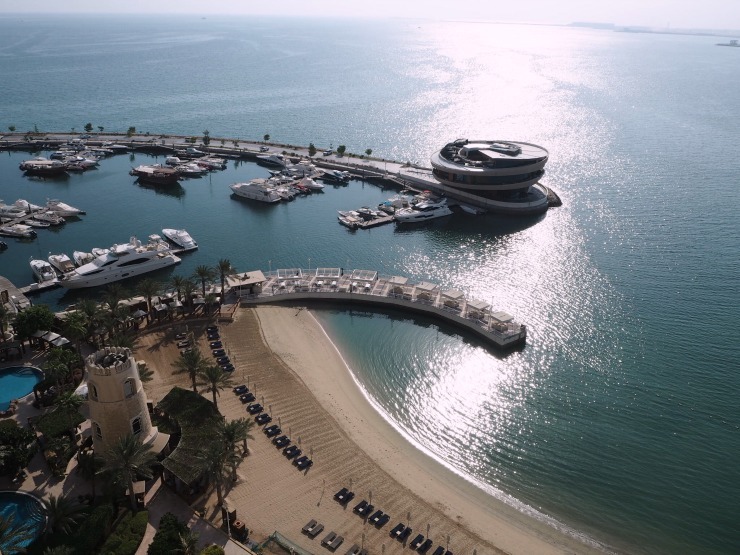 Right on the water's edge of the Arabian Gulf, the rooftop had amazing views of the city. The food was simply sublime, a mix of Japanese dishes such as sushi, sashimi and teriyaki. The presentation was beautiful and the flavours exceptional. 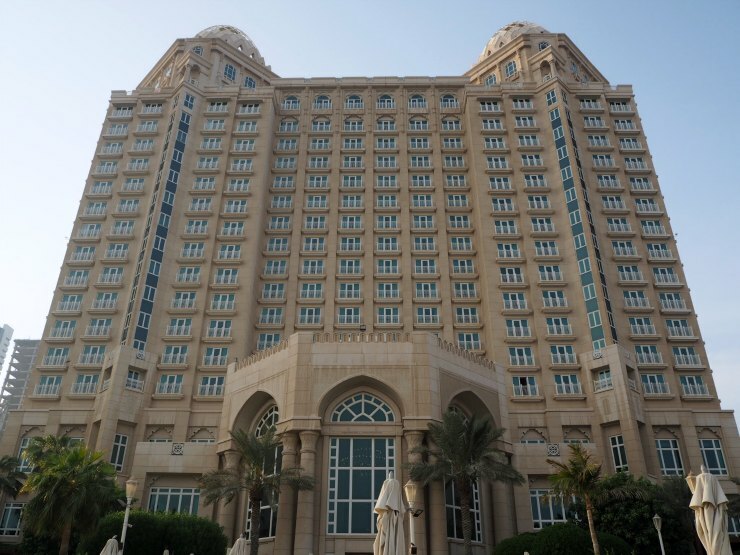 We stayed at the Four Seasons Hotel Doha. 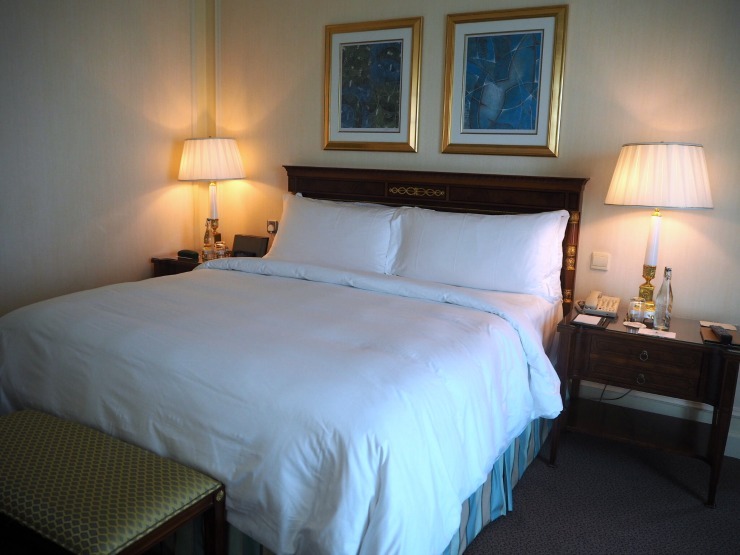 This luxury five-star hotel, part of the Four Seasons chain is a fabulous place to stay. Rooms are large, understated and elegant and the service is exceptional. 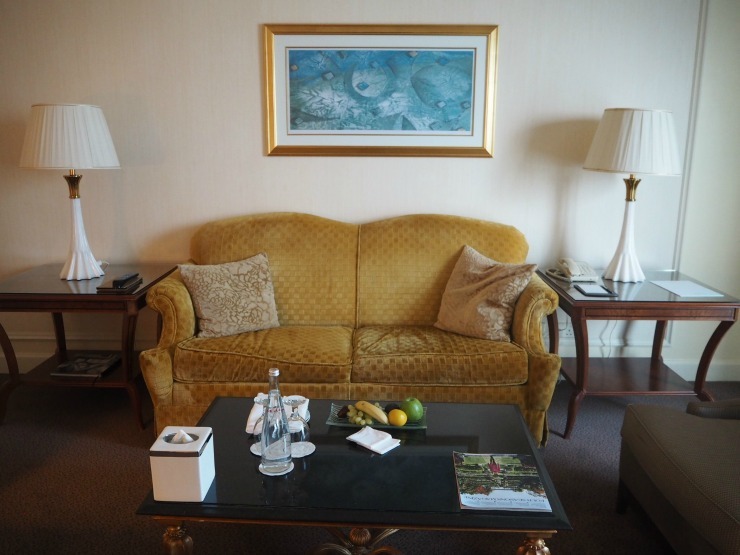 We had a suite with a separate living area, and complimentary water and fruit every day as well as fresh roses in our room. We also had this tasty treat above awaiting us, it was almost like a work of art. 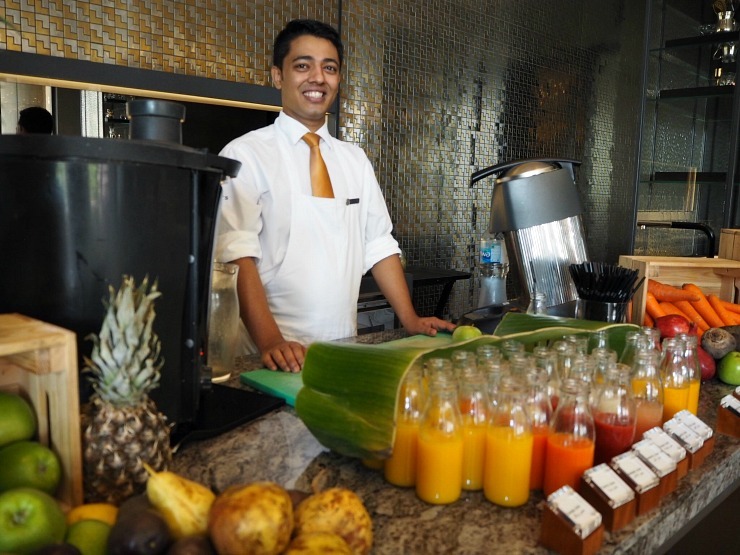 The breakfasts were amazing, from freshly squeezed fruit juice made in front of you to a variety of Middle Eastern, Asian and Western dishes, including Arabic breads, Indian dosa, Chinese dumplings, pancakes, frittata, waffles, French toast and omelettes made to order. Everything you could wish for really and more. The view from our room was to die for. I mean look at it! We relaxed on the beach on the first afternoon, and after liberally applying the water-resistant suncream (it was over 35 degrees), we had a dip in the warm water of the Persian Gulf. Dozing on a sunbed as the sun went down was sheer bliss. With a relaxing spa, a variety of dining options, and its wonderful location on its own private beach, I can highly recommend a stay here. Doha is an Islamic country. If you are a woman I would advise that you dress conservatively outside of hotels and private beaches. 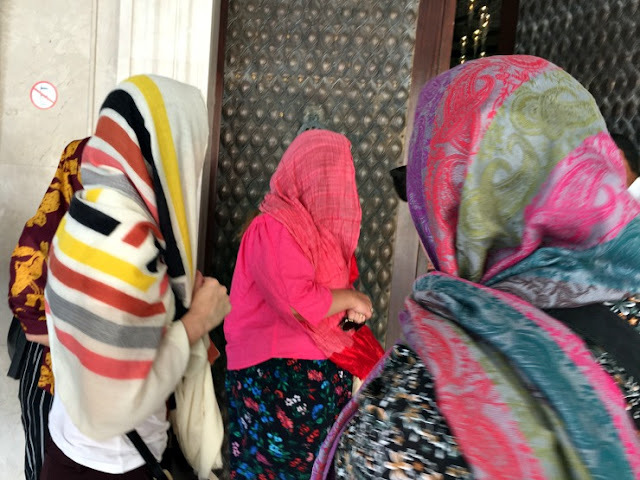 If you are going to the souks or out and about shoulders should be covered and short skirts and skin-tight shorts frowned upon. To visit a mosque then your head, as well as your knees and shoulders, should be covered. When we visited the Blue Mosque we were given trousers and head scarves to wear. So this is my 48 hours in Doha in Qatar. If I had longer I would definitely have taken a tour into the desert, seen the sand dunes, and visited the Islamic Museum of Art. Doha is certainly an interesting place to explore, a mix of modern and traditional culture that makes for a beautiful and unique destination. For further information check out what I thought about flying business class to Doha on my Qatar Airways flight and I can recommend Visit Qatar as a useful resource to plan your trip. * I was given a complimentary press trip but was not paid for my content. All opinions are my own. I had a great time exploring Doha with you and Mr. W. Hope to go back again in future and yes, would be lovely to try out that desert tour wouldn't it?! An interesting market to explore. 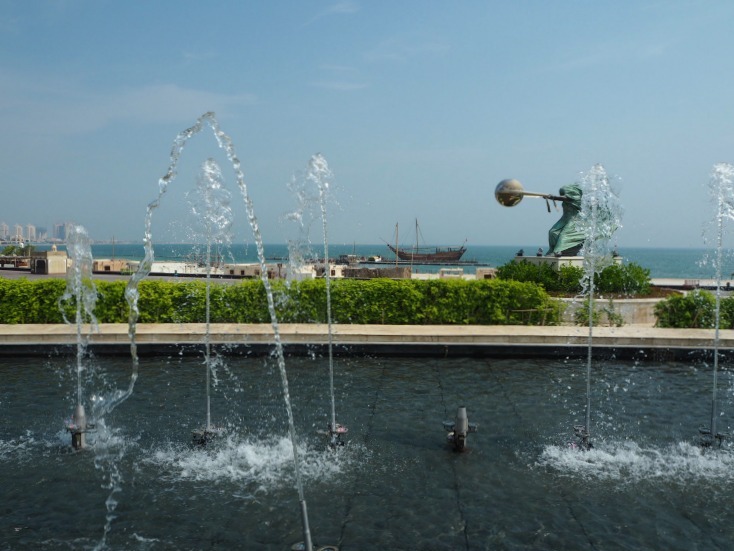 We have been to Doha a couple of times on stopovers and absolutely love it - especially wandering around the souqs and along the corniche at dusk. It's certainly an underrated place to explore. Simon did a similar trip for London-Unattached, but didn't stay at the four seasons, which looks fab. The dress advice is well said - it's too often ignored! The hotel was stunning Fiona. It sounds like you fitted a lot into your visit. The hotel looks amazing. It is not somewhere I would have considered visiting, but with flights now from Cardiff I'm going to have to look into it! I love a good Souk. The flights from Cardiff are so convenient for us! Your 48 hours gave you a good taste of Doha. I had a layover at the airport in 2015 and I was amazed at the huge attractions.i thought if the airpiai us like this, what more the city? The airport is very modern and swish! The architecture was just stunning. The architecture around Doha is so unique and fascinating. The Katara Blue Mosque with mosaic decoration looks striking and magnificent. 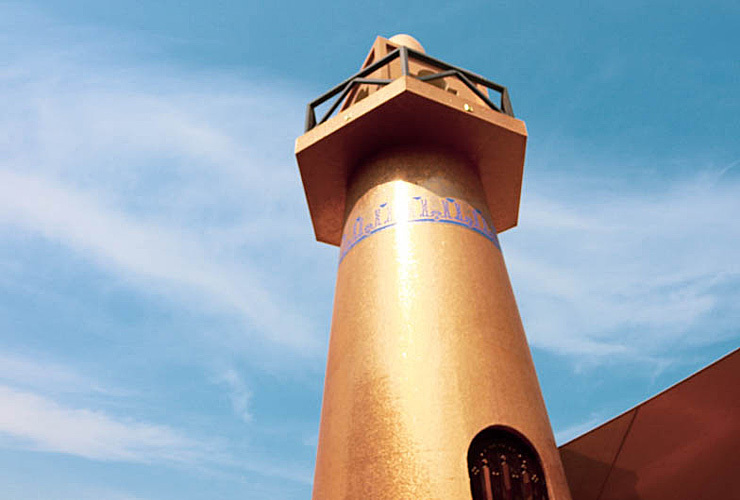 And we would love to visit the Katara Cultural Village, a great way to learn the regional culture and heritage. I have been inside Doha airport while in transit but never visited the country. Would love to one day. Qatar Airways do free stop overs and Ive seen offers with free hotel stays too, so its worth checking Doha out. Yes we did. Even though I am not a huge football fan, I do love architecture so to see the new stadium designs at the FIFA headquarters was very interesting. Looks like a really interesting place to visit with lots to do! I've never thought about going to Qatar but I'm going to add it to my list now! The souq market looks wonderful. That would be the first place I'd want to visit in Doha. I've never visited the Middle East before and your experience in Doha sounds fantastic. I knew about the 2022 FIFA World Cup, and I'm looking forward to getting to know the country. 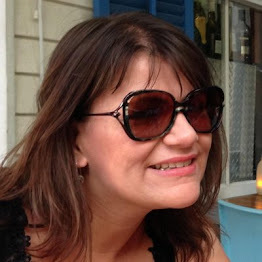 Thanks for your article which gives a glimpse into daily life. I think you would find the souq an interesting place to explore! Glad to know your enjoyed seeing my trip on IG Laura! The hotel was amazing, it really had teh wow factor. Doha is like mini Dubai or Abu Dhabi. Having grown up in these cities, I can relate to a lot of these stories. The Katara Mosque is something that I would love to see. It looks quite beautiful. Good tip about covering your shoulders and legs. The Katara Mosque is beautifully designed. It's an interesting place if you love architecture. It looks very interesting, I’ve never been. The food looks delicious.